23 years old Jose Gregorio (SPAIN) vs. Goran Borovic (CROATIA). 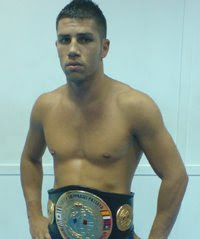 Jose Gregorio is an amateur kickboxing champion - version WPKA. 32 fights (28 won - 2 lost - 2 draw). 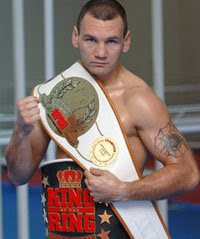 Goran Borovic won after 2nd round hard kicking his opponents legs with KO.